Hello July! It's beautiful and important month for me and my family. Next week is my brothers Name day and next weeks after as follows is mine and my moms Name days, and my Birthday. We're celebrating till September when my brother is having his Birthday. He's starting our family celebrations and finishing. We are summer babies. I'm thinking of them everyday and even more this month. I wish I would be there on those special days with them. Yet for me most important is that they're well, happy and loved. ahā tad, kad tad uz lv ja ne vasarā??? That sequined skirt is so gorgeous! Loving this inspo!! Great post! I don't know anything about Name Days, but I hope you have fun celebrating this summer! 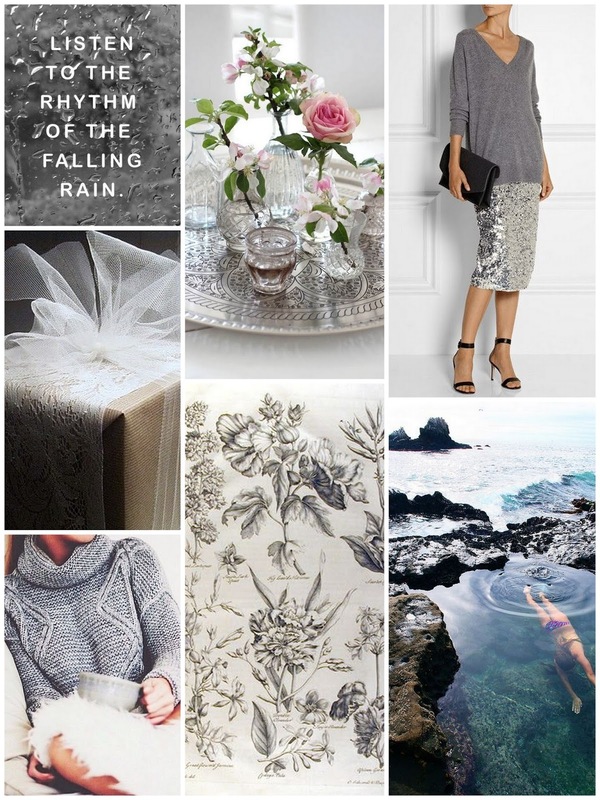 I love this pretty, soft gray mood board! Such great inspo, thanks for sharing, love! beautiful inspiration! I am celebrating my birthday this month too!! Love July! Great inspo post- love that beach shot! I love your mood board!! it is always nice to celebrate with the family! It brings anyone closer! I hope you will get to be with them ! Parka is always one of my favorite piece of clothign. Everything looks trendy and stylish wearing it. Love your pants and sandals too.